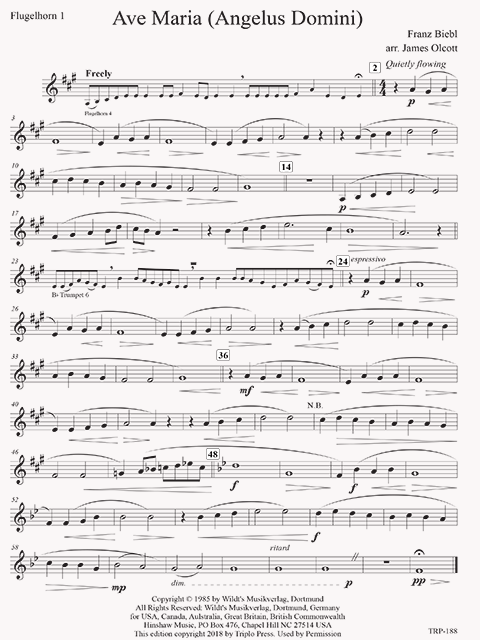 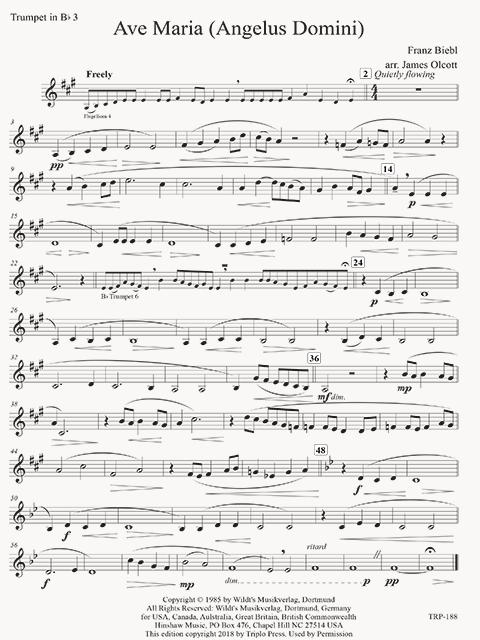 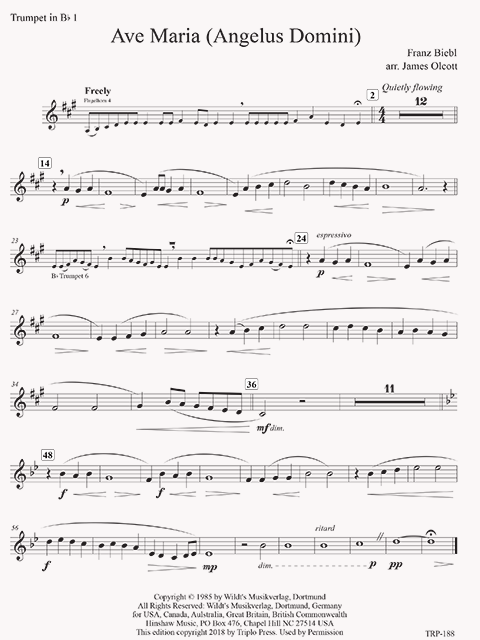 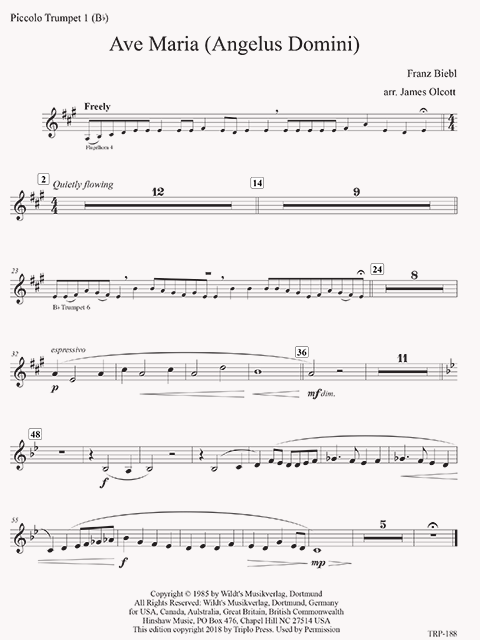 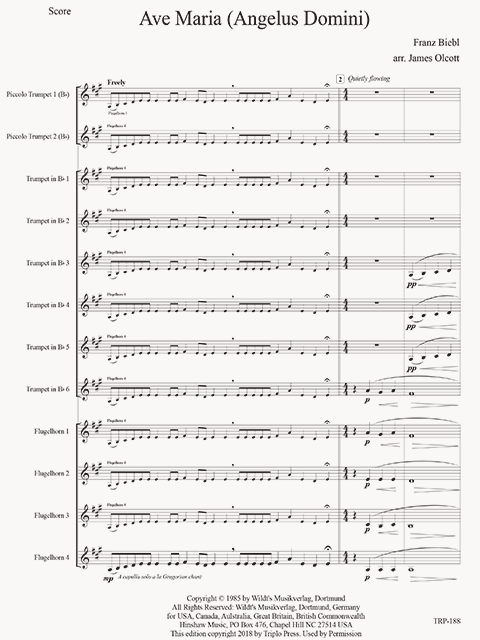 A special setting for 10 or 12 trumpets of the famous work for voices, this is a beautiful, warm, and lush piece that is easy to play, with phrases natural and flowing. 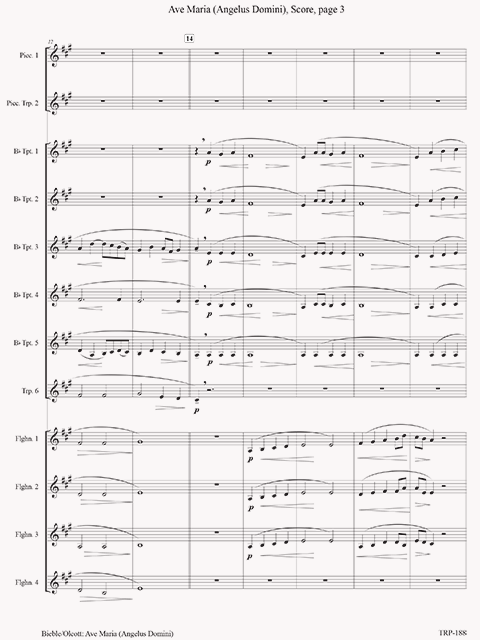 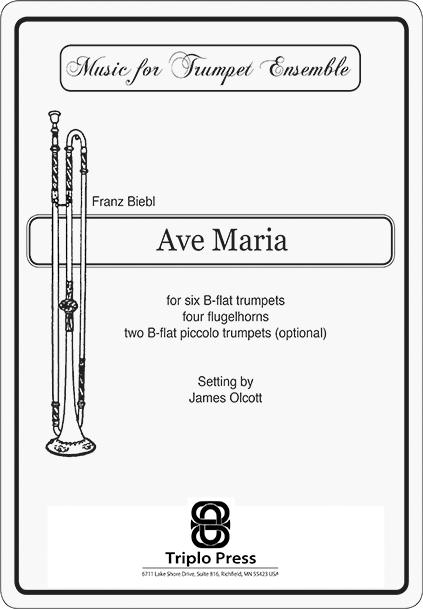 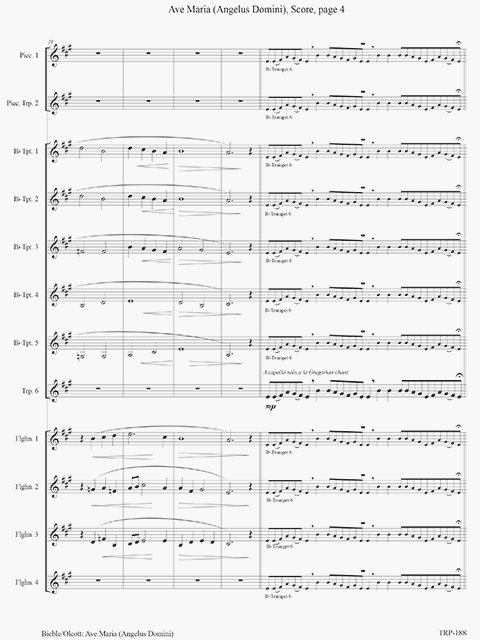 For six B-flat trumpets, four flugelhorns, and two optional B-flat piccolo trumpets. 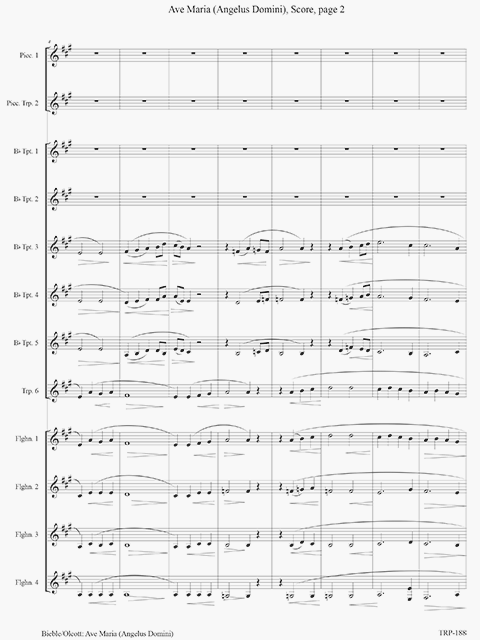 The two optional piccolo parts are not demanding at all (only one high D), but are there for color and add to the emotional impact of this setting.